I have enjoyed teaching Classical piano privately for over fifteen years. I also coach chamber music and duo piano, as well as offer one-on-one tutoring in ear training, keyboard skills, sight-reading, music theory, music history, and writing on music. I am very fortunate to have received superb Russian-school training, both in Moscow, at The Gnessin School for Gifted Children, and at Juilliard, where I have studied with Professors Oxana Yablonskaya and Jerome Lowenthal. I also have the great honor and privilege of having studied privately with Richard Goode. 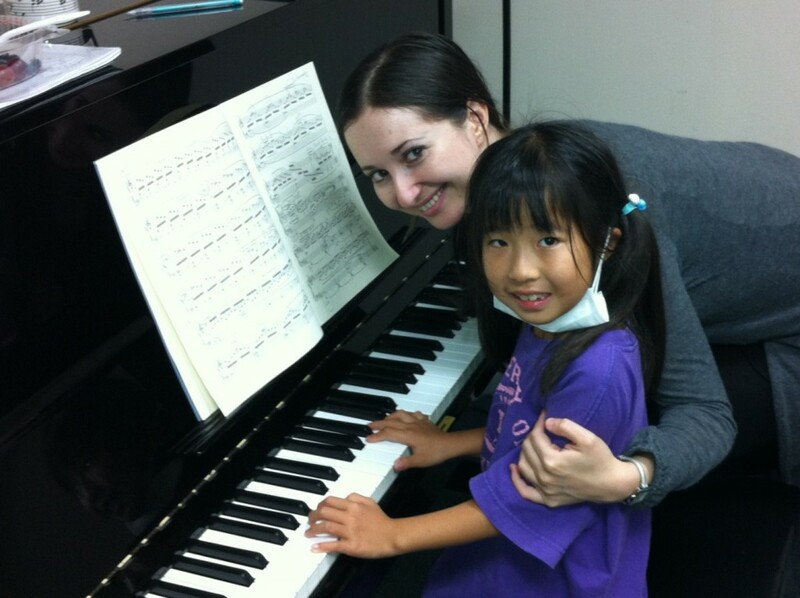 I offer lessons both in English and in Russian, and teach students of all ages and abilities — from the very beginner, young children, as young as 4 years old, to teenagers, and to advanced older adults, many of whom I help prepare for professional solo concertizing, for auditions to both undergraduate and graduate programs, and competitions. Last year, several of my long-time, intermediate-level and advanced-level, students received top scores in the New York State School Music Association (NYSSMA) piano exam. Although I love working with musically-inclined students, I also enjoy working with students who have other educational backgrounds, such as medicine, architecture, or finance, as I myself have a dual background in Piano Performance (DMA, MM, Juilliard) and English Literature (BA, Columbia University) and, thus, a great passion for a variety of disciplines besides music, such as English, philosophy, psychology, art history, and aesthetics, that I like to integrate into my teaching. Therefore my pedagogic approach can best be described as eclectic and multidisciplinary. With a penchant for fine detail and nuance, I encourage all my students to engage critical thought process about the repertoire they are working on – that is, to show interest not only in playing the notes as they appear in the music, but also to be deeply knowledgeable about both musical and extra-musical contexts, having to do with composers’ lives and stylistic approaches. In my teaching, I try to expand the student’s mind and curiosity by integrating the discussion of pianistic issues, such as the cultivation of noble singing sound and beautiful phrasing, with underlying compositional issues, such as voice-leading, counterpoint, and motivic infrastructure, as well as a variety of other, interrelated disciplines, such as history, theory, rhetoric, psychology, and aesthetics. Besides the professional side to my teaching, I value a personal one perhaps even more. As in any successful relationship, the great teacher-student dynamic is vital for enhancing the caliber of both the teacher’s instruction and the student’s motivation to learn. I therefore try to foster close, warm, long-term relationship with all my students based on mutual respect and inspiration that I myself have enjoyed for many years with my own teachers in the past. While I try to give as much guidance to my students as I can, often sharing with them my creative insight on the piece at hand, I never impose my personal interpretation on them but rather invite them to explore any number of possible interpretations, thereby helping them to cultivate their own musical intelligence and independence of thought. I always strive to make my lessons both fun and challenging, intellectually thought-provoking and emotionally enjoyable. I also invite my students to explore unusual and rarely performed repertoire, and thus help them to come up with unique and creative recital programming. Speaking of recitals, I put together public group concerts for my students twice a year which, I believe, give them an excellent learning opportunity, both to showcase their talent and to share their passion for piano with their families and friends. How long has the student been studying the piano?